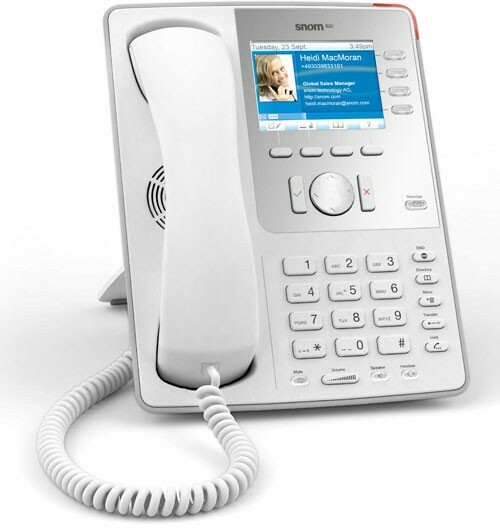 The snom 820 VoIP phone is the beginning of a new business phone series from snom. It is like the prelude of a new masterpiece in VoIP technology. In this series we want to merge two of the main requirements of modern telephony in one device: mature VoIP technology and design in a class of its own. With its large high-resolution TFT color display (3.5”, 320 x 240 pixels) the snom 820 offers a brilliant depiction of call lists, phone directories, and caller information via the integrated XML browser. The wideband technology used in the handset captures more than double of the spectrum of voice frequencies that by standard phones. This means the audio quality can be compared to FM radio. On speakerphone a Class D amplifier reliably suppresses interference noise. This means high power conversion efficiency combined with an excellent sound. Additionally, the new snom 820 WLAN enables you to install the phone in any surrounding you are. Whatever you prefer, the snom 820 is prepared for any option: Power over plug with WLAN or Power over Ethernet (PoE). Moreover, the snom 820 offers all conveniences snom customers have come to expect from us. As security is one of the main requests in our times snom always assumed this responsibility in a very serious way. So features like secure VPN, TLS and SRTP are an integral part of the 820s firmware. To make sure that the data of our customers is secure and to inhibit to hack and copy data is one of our goals we always want to achieve. 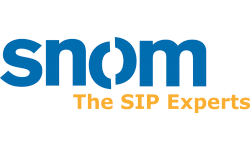 But the snom 820 also offers a wide range of functions particularly relevant to the business world, like 5-way conferencing, multiple ringtones, and up to twelve different SIP identities. This is the meaning of independence in every day work. To guarantee maximum comfort the user interface of the snom 820 is designed especially for a clear and intuitive operation. All phone keys are arranged that they are easy to see and reach from almost any angle, regardless of whether the snom 820 is set up with the footstand in the high or low position. The new look of the snom 820 was designed in cooperation with very renowned German industrial designers - and this first model of the new product line of snom phones is living up to the highest expectations in functionality and timeless beauty.